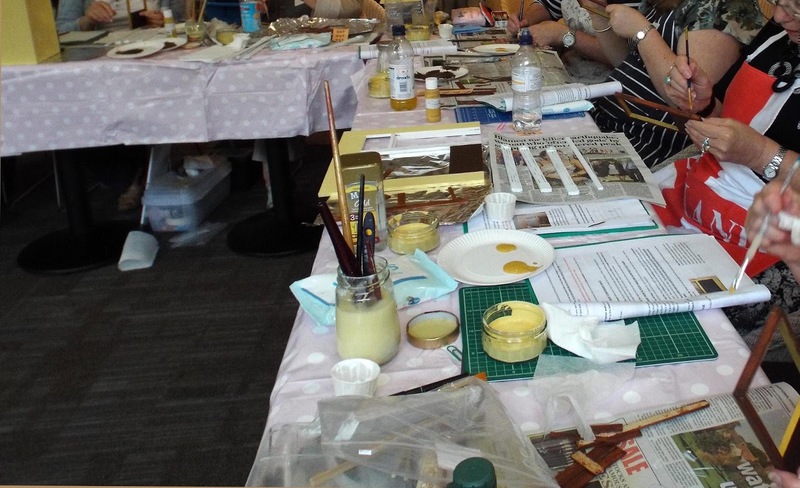 Busy Few Days......Workshops Galore Plus A Date For Your Diary! These past couple of weeks or so have been extremely busy indeed and life has basically revolved around our Oxfordshire based workshops! 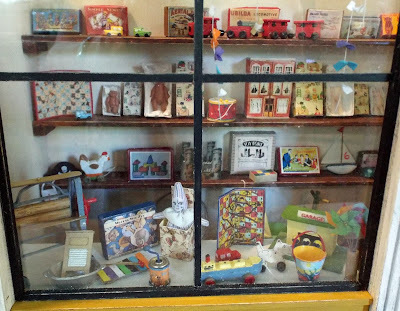 For the past two Saturdays, Nostalgia In Miniature Workshops colleague Robin and myself have been running two full day sessions of our Little Vintage Toy Shop Workshop at Bicester Avenue Garden Centre in Oxfordshire, UK. What a fabulous time it has been! 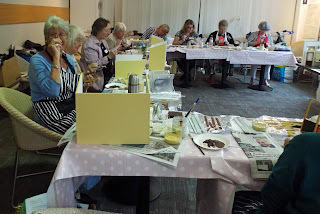 Over the past few weeks preceeding these two workshops, both Robin and I have been beavering away creating 25 kits........each shop kit has just under 80 separate wooden components, all of which I have cut by hand....my hands are very sore indeed! Robin designed over 30 amazing vintage style toys to fill the shop with, so she nearly lost her marbles cutting all the various components for those too! Full information and more photos of the workshops can be found on our sister blog - Nostalgia In Miniature Workshops Blog. Plus you will also find information on there with regards to our 2016 workshops, as we are now opening up a Reserve List for that too. 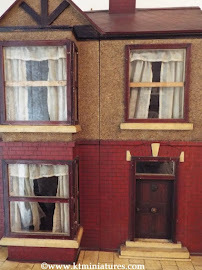 This is what we will be making next week with the Cheltenham group, and is being offered in both 1/12th scale and 1/24th scale. And there is still no respite, as next week we will be travelling to Cheltenham in Gloucestershire, to undertake a workshop of a very different kind for a large group of miniaturists. So hence, this is why listing to KT Miniatures' website of more antique and vintage dolls house items has ground to a halt just lately! 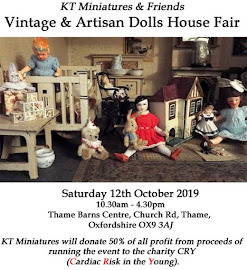 And now a date for your diary....am delighted to announce that KT Miniatures has signed up for a stand at Haddenham Dolls House Exhibition that will be taking place on Saturday 14th November. This is a wonderful little event that up until now has been run biannually by George and Freda Dorrell, and which we have been attending for years. 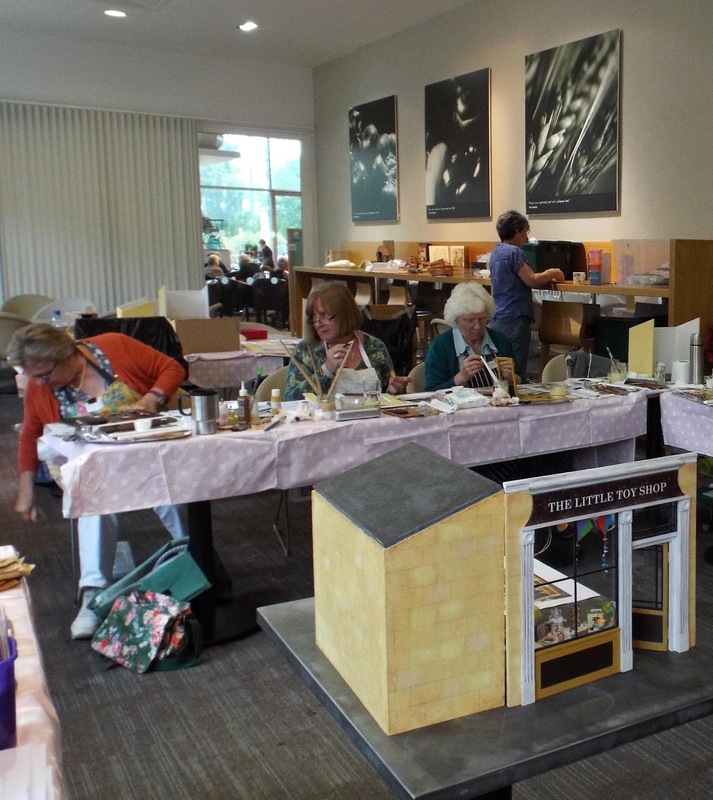 However, George and Freda have now retired from this event but luckily Thame Dolls House Fair organisers, Ron and Felicity Holland are taking over the organisation, in order to keep this wonderful event going. Taking place at Haddenham Village Hall (just 2 miles from Thame on the Oxfordshire/Buckinghamshire border), the main aim of this event is to bring together individual enthusiasts plus local dolls house and miniature clubs to show off their creative talents. There will also be a handful of professional artisans, including myself and Robin of Coombe Crafts. 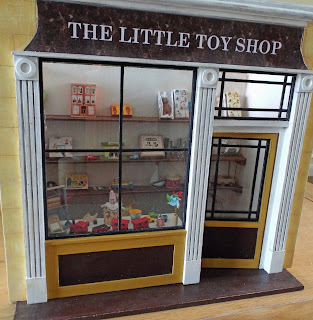 I hope to have a variety of both my handmade items as well as a selection of antique/vintage dolls house items......and the event will be raising funds for the Air Ambulance and Hearing Dogs For Deaf People! Well.....the workshop last Saturday at Bicester Avenue Garden Centre turned out to be a rather lovely day. 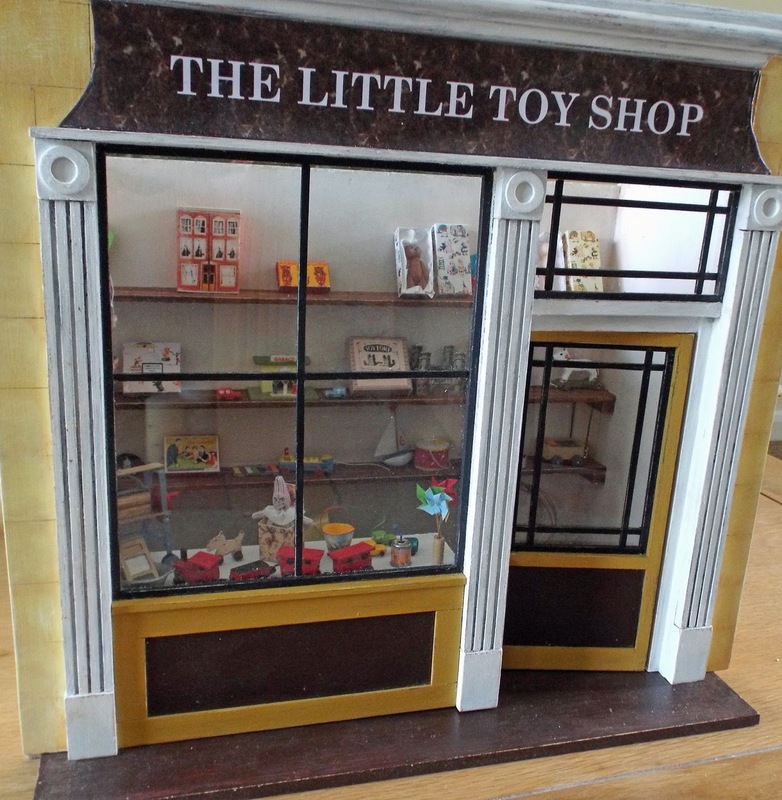 Although The Little Vintage Toys Shop was probably the most ambitious project we have undertaken to date, we were extremely proud of all the attendees achievements. A huge THANK YOU to everyone who came, we hope you enjoyed the day as much as we did. The weather was wet and rather chilly for a mid June Saturday but hey....that's British weather for you! 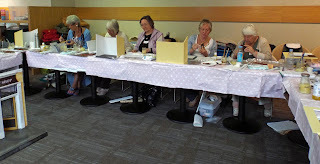 The rain did not dampen spirits though and everyone cheerfully just got stuck in to much creativity. By the end of the day, some lovely decorated shop carcasses floated out the door and armed with further kit components and a book of instructions, everyone who came can now look forward to completing the project in full in the comfort of their own home....including over 30 miniature vintage style toys. 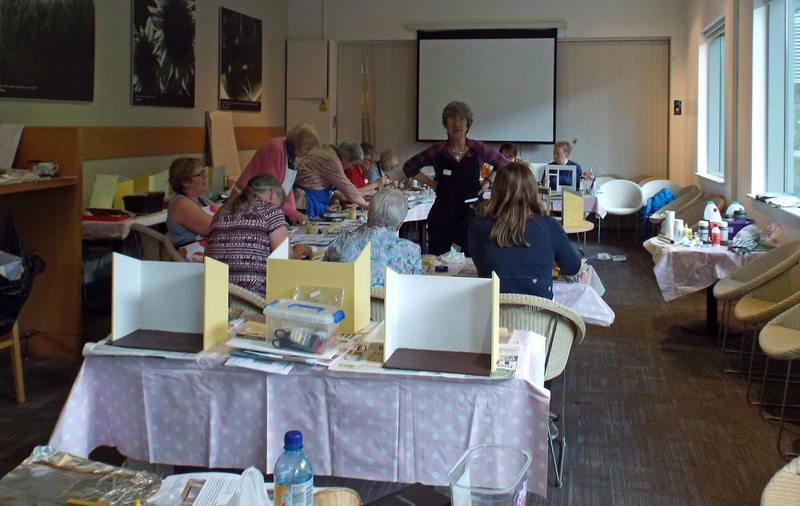 Looking forward to meeting the next group of ladies next Saturday, where we will be doing this all over again! Life has been rather eventful these past few days but won't bore you with the finer details. 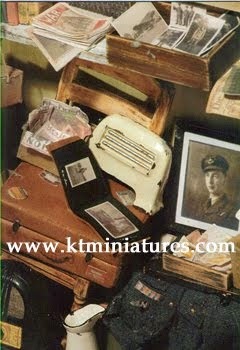 Needless to say that my planned listing of new stock for KT Miniatures' website did not take place...at all! Admist all the comings and goings, a few unwelcome gremlins then suddenly appeared and I have encountered some quite odd computer issues this week...sadly with Mr KT not being able to undertake his normal whizzy magic with my computer, I was left to my own devices....haha - big mistake! 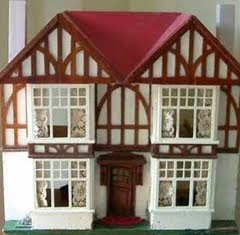 But am keeping fingers and toes crossed that all is fine and dandy again. 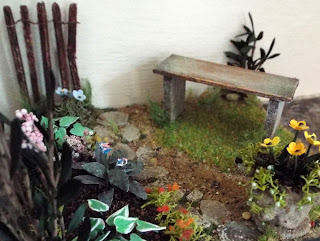 Meanwhile....after much planning and preparation....the first of our all day June workshops is now less than 24 hours away....and Robin (my Nostalgia In Miniature Workshops colleague) and I are rather looking forward to it all. So to all those ladies who are coming to Bicester Avenue Garden Centre tomorrow.....have a safe journey, hope you find us ok and we are hoping to start promptly at 10.30am. 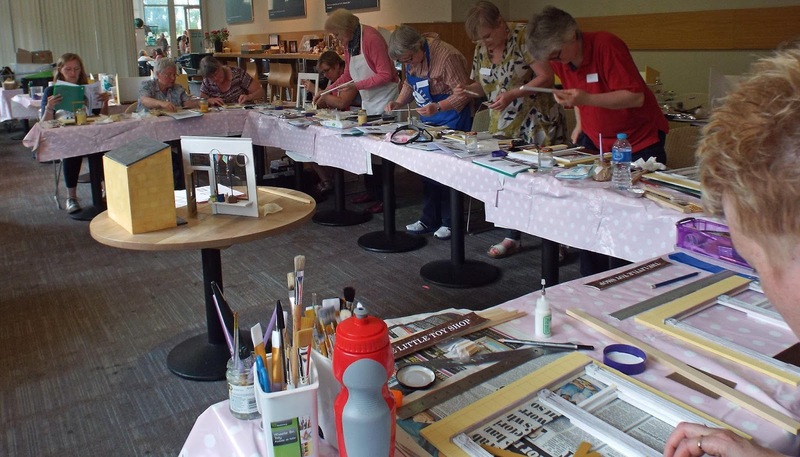 If you are a general visitor to the garden centre tomorrow, and decide to partake in some refreshments in the restaurant - you will be able to see us all beavering away through the large glass wall. 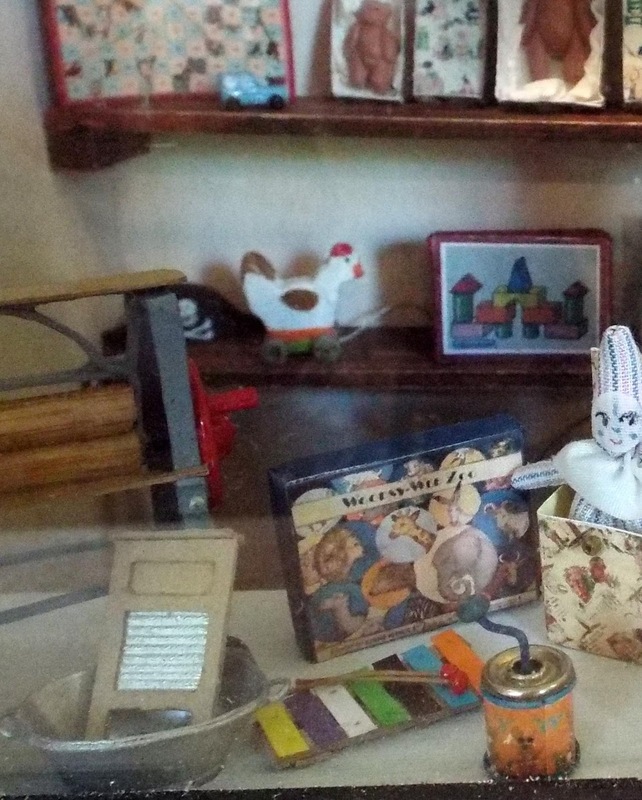 Do feel free to give us a cheery wave!